Okay, so do I even bother apologising for my lack of blogging this past year? I mean, I have no excuse. I’ve had loads of time to write, and no shortage of inspiration in this incredible city of London (gah, so many bookshops!). But as a dear friend so aptly put it, I’ve been in my “hermit cave” these last few months. And that’s where I’ve needed to be. 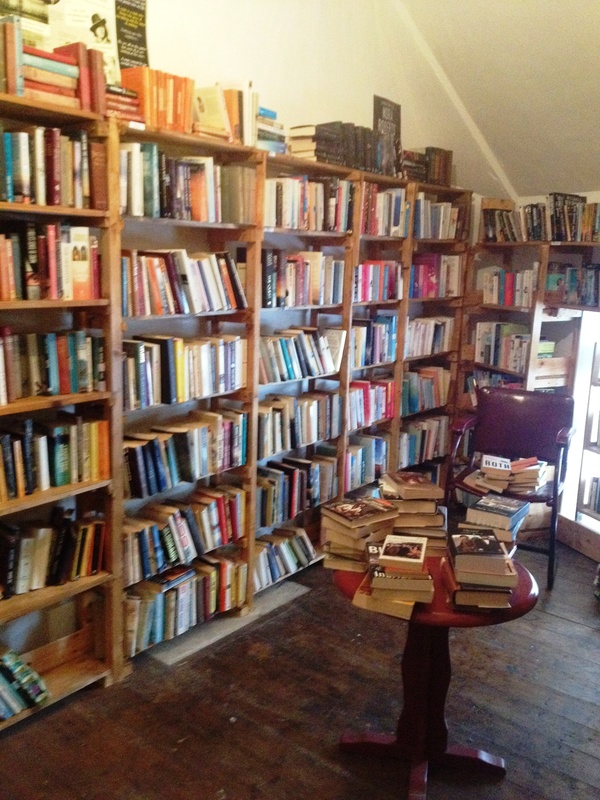 So many books, so little time … bookworm Heaven! Part of what drove me to live abroad was a need for silence. So logically, I moved away from the serenity of Canada’s mountains and lakes and threw myself into one of the busiest, most crowded cities in the world. Makes sense. Seriously though, what I needed, what I’m still coming to learn I need, was a much more profound silence. I needed to hear only my own voice because I’d forgotten what it sounded like. When it comes to the support network in my life, I couldn’t be luckier. I have friends and family encouraging me daily, and offering an ear whenever this hermit cave of mine gets just a little too isolating. What I’m truly realising now though is that I need the time and space and quiet to trust my own decision-making processes, my own intuition, my own heart. I’ve carved out the time for just ten minutes of meditation every morning, and it’s made more of a difference that I ever could have imagined, not just in my overall peace of mind but also in my ability to focus on whatever is happening in the moment, work included – productivity bonus! p.s. I really am going to start blogging again. I swear.